September is going to be crazy. Lots of shows. Known for his work fronting the enigmatic rock band Pedro the Lion, David Bazan’s emotionally charged narratives, eye for telling detail, and mournful voice have more in common with J.D. Salinger’s “Nine Stories” or Flannery O’Connor’s “Wise Blood” than with the usual lyrical slant of popular music. 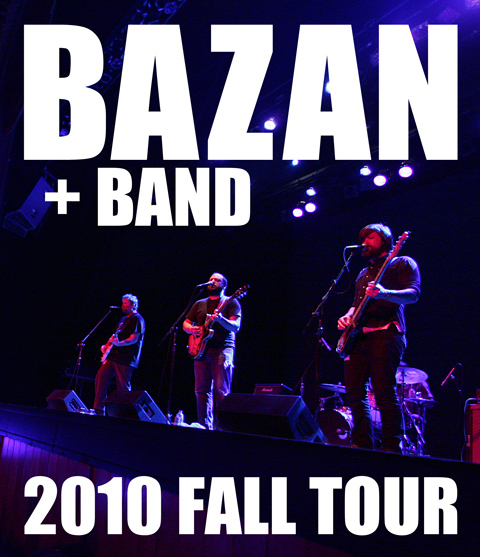 Bazan is a gifted storyteller, weaving parables of spiritual conflict, suburban ennui, and personal surrender into magnetic, well-crafted songs. David Bazan: guitar, vocals. Blake Wescott: guitar, backing vocals, Andy Fitts: bass, backing vocals. Alex Westcoat: drums. This entry was written by nmavodones, posted on June 30, 2010 at 2:14 pm, filed under Local Music and tagged Club Metronome, David Bazan, David Bazan + Band, MSR Presents, The Mynabirds. Bookmark the permalink. Follow any comments here with the RSS feed for this post. Post a comment or leave a trackback: Trackback URL.